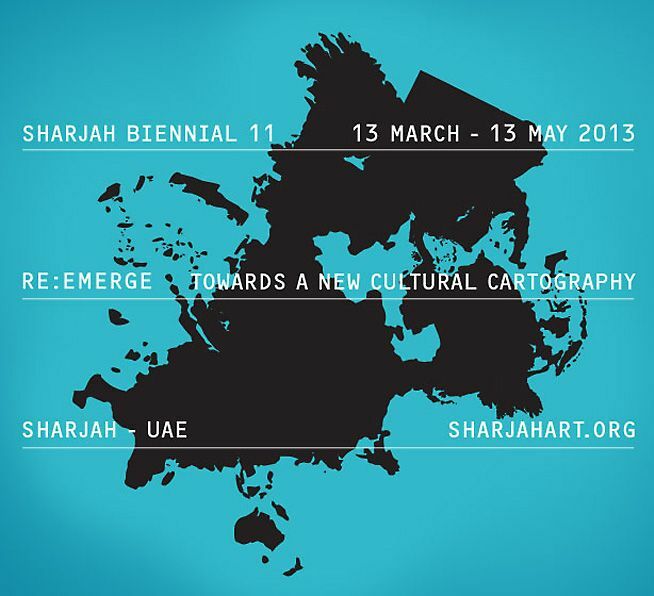 Monovacation is in 11th Sharjah Biennial, 13 March – 13 May 2013. Tourism is a vicious sphere of competition in the world economy. This situation forces the countries possessing touristic values to act like corporations. The 2012-2013 Tourism Report of the World Economic Forum evaluates and ranks 144 countries and assumes a position within the global context. The countries in competition take the pulse of each other and use every trick in the book to impress the visitors; huge investments, airport constructions, chain hotels, loyalty programs, business world, and many other attractions as such. Turkey, in this context is one of the countries that attract tourists. Among its competitors there are countries such as France, Spain, Italy, Cyprus, Greece, Malta, Egypt, Portugal, Yugoslavia, Morocco, Thailand, China, UAE, Taiwan and India. 144 countries trying to captivate the tourists and ruthless competition… Monovacation uses 20 official tourism TV commercials randomly selected out of these 144 countries as its material. The image appears in the commercial videos of the countries with tourism value. Each film hails another subjectivity, from place to place employs the same imagery and from time to time idiosyncratic elements. The representative images in visuals do not only show the countries assets also builds an ideal understanding of vacation for the subjects. While they are defining a subjective position for the tourist, they also point to all sorts of “should’s” from how and with whom we should have fun, how we should rest, to which view or historical structure we should admire. While the efforts to shape the vacation through the subjectivity of the tourist render these movies almost the same, the trademark geographical and cultural values seem to be wrapped up and marketed. The countries are being stripped off all other qualities and are being brought to a common ground. These commercials, which usually last one to three minutes summarize the countries real quick and try to catch attention and on the other hand give a promise to satisfy all the vacation needs of the tourist, so they collaboratively construct a fantasy of vacation. Splitting these commercial films into the tiniest pieces and having another gaze at each separated clip channels us into a much convenient path than breaking the routine, instead it reinforces the routine and make it much apparent. Thus, positioning the tags post-coded and attached to each clip in a network map enables one to read this construct of vacation. Yet above all, such a map allows one to discover the most central concepts and representations and to invent a generic vacation commercial. A fantasy which overrules other fantasies of travelling, a fantasy where the steps of discovering a new place are predetermined and a fantasy where the patterns are being reproduced… Monovacation, this construct that we know is generic, forms an extracted fantasy of travelling not to the countries but to the travel itself. 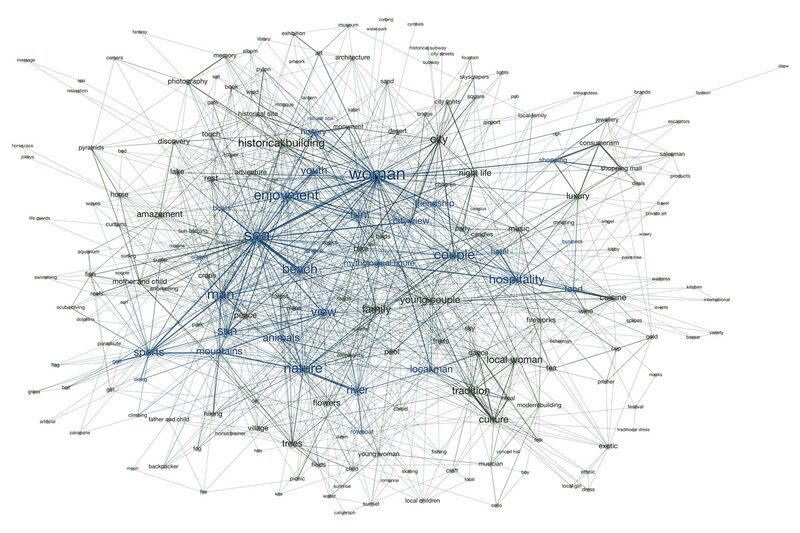 In this context Monovacation is a work composed of three pieces: (1) Official tourism commercials of Turkey and its competitors on a grid, (2) Network map of representation similarity generated by the content analysis of the tourism commercials, (3) Generic film reedited with network analysis. This work was prepared for the purpose of VitrA Contemporary Architecture Series: Please Do Not Disturb exhibition realized in 2013.